We have built our program from the ground up and are excited about having created a quality Preschool that meets the needs of the children in Palmyra and the surrounding area. We have met all the requirements and have received a Private Academic School License from the Department of Education. We have refurbished the rooms we are using at Campbelltown United Methodist Church, had an on-site inspection by the Department of Education, hired staff, and planned the curriculum. We are enjoying our fourth school year and are now taking registrations for the 2019/20 school year. Anyone can attend the preschool (you do not need to be a church member). This is a community preschool with a Christian emphasis. We are licensed by the Department of Education with a Private Academic School License. We are the only Preschool in the Palmyra Area School District with this accreditation. Our Director/Teacher has Bachelor Degree in Education, a valid Pennsylvania Teaching Certificate, and also has the Private Academic School Nursery Credential. Our Teacher's Aides have Bachelor Degrees. Director/Lead Teacher: Mrs Caitlyn Wagner B.Ed in Teaching, Teacher's Aide: Mrs Nicole Myers B.S. Lead Teacher: Mrs Caitlyn Wagner B.Ed in Teaching, Teacher's Aide: Mrs Melissa Kline B.Ed. the Registration Fee for all students is $40 (siblings $25), tuition for siblings is 10% off. the school year will begin Tuesday Sept 3, 2019 and end on Friday May 22, 2020. We will be following the Palmyra Area School District’s calendar. Read over the Parent Handbook and then complete the Registration Form (four pages) and mail it in with the Registration Fee $40 (non-refundable) and one month's tuition fee (non-refundable) which will be applied to your May 2020 tuition payment. If your child is too young for our preschool, we invite you to come to our “pre-preschool” classes called “Play & Learn” for babies, toddlers and preschoolers! Join us for a FREE Preview Class - for more information click HERE! Thanks to so many who have encouraged me on this journey. As the owner, I look forward to seeing you and your “little one” at Welcome Little Ones Learning Center! 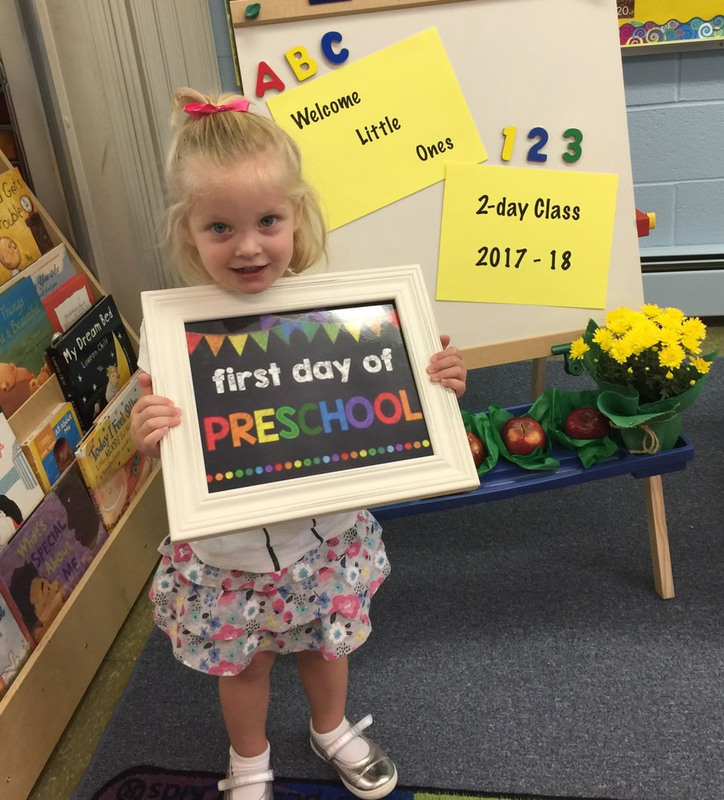 If you would like to read more about my journey into Early Childhood Education and my dream to start one more preschool, check out My Blog!